The way internet has barged into our lives, we have been seeing the world in a very new way. 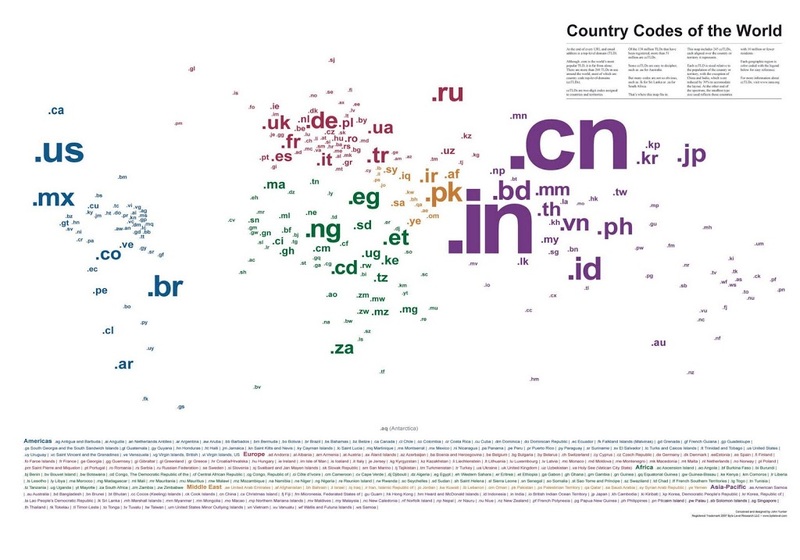 Each ccTLD is sized relative to the population of the country or territory, with the exception of China and India, which were restrained by 30% to fit the layout. 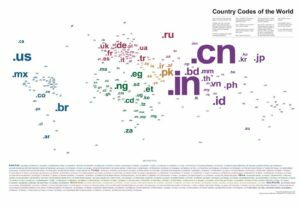 At the other end of the spectrum, the smallest type size used reflects those countries with fewer than 10 million residents.